This year was meant to be a quiet for me in terms of los toros, but instead I find myself booked to run the encierros – ‘bull runs’ – and watch the corridas – ‘bullfights’ (a misnomer, it is neither a fight nor a sport, but a dramatic spectacle culminating in a ritual sacrifice)- and capeas – ‘messing about with bulls’ (?) – in Tafalla and Falces in Navarre, San Sebastián de los Reyes in Madrid and Cuéllar in Old Castile – the four fingers of la mano de los encierros – of which Pamplona is el pulgar, fuerte y torcido – ‘the strong, crooked thumb’. 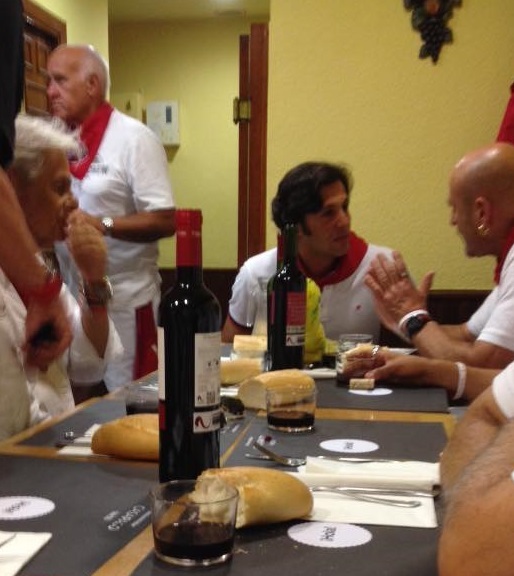 While the newly deputised Lucy has done a great job in summing up this year’s Fiesta of San Fermín over at ‘The Pamplona Post‘ (and I have written on non-taurine matters at ‘Xander’s Blog‘), I thought I’d better write a few words on the world of the bulls. However, I did once see an excellent and educational performance by El Cid in Cuéllar, no more than four foot away from me in my relatively cheap front row seats in the shade (barrera sombra, bought from the ticket window at the ring that day.) 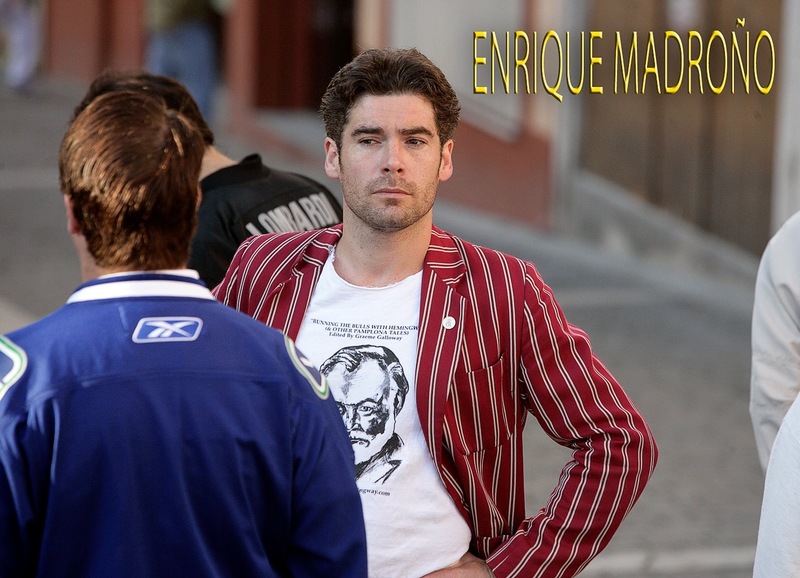 So I am happy to see Cid fighting once again, along with David Mora, although he did say to me on the last day of Pamplona’s feria that he would not be able to bullfight again until next year, so one wonders who will replace him. the new city government, led by Mayor Manuela Carmena of the leftist bloc Ahora Madrid, has given up its box at Las Ventas bullring. 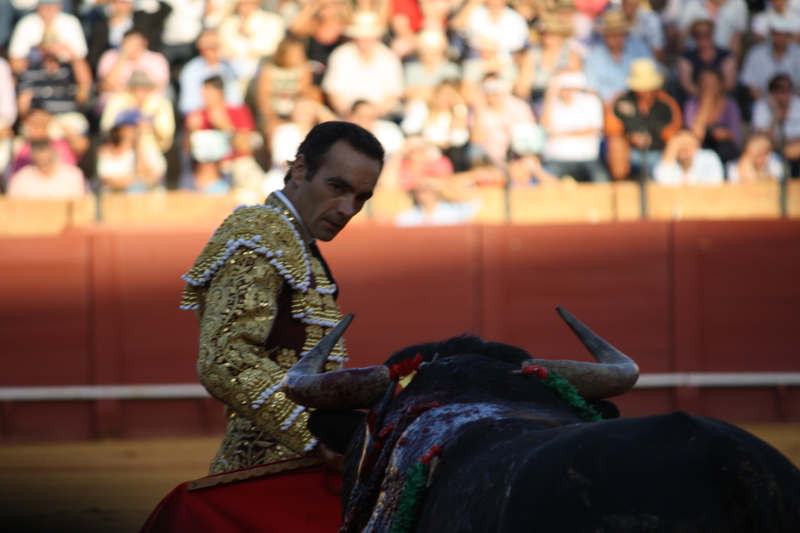 Carmena has announced that she intends to turn the Spanish capital into “an animal-friendly city” and supports eliminating all subsidies to bullfighter training schools and bullfights. 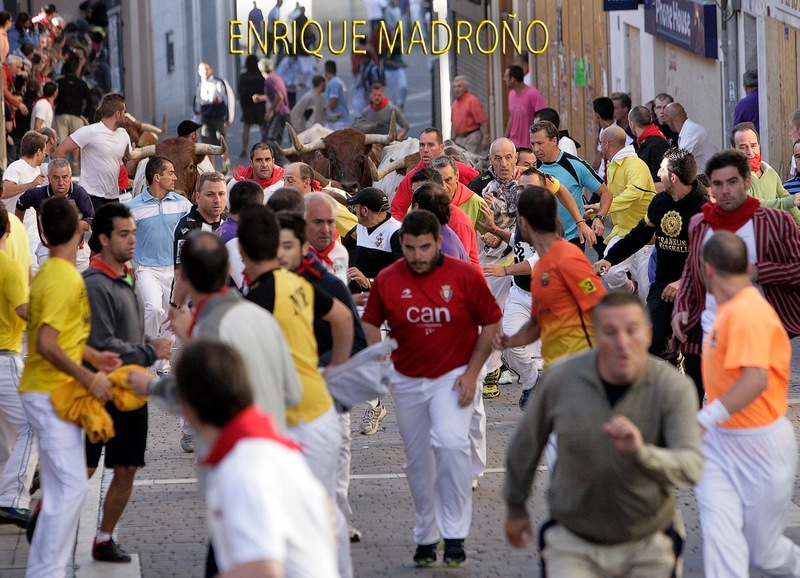 All this despite the fact that in 2014 the newly released figures from the Ministry of Culture show that for the first time since 2007 when the economic collapse began, the number of bull-based festivals in Spain actually increased. Last year there were 1,868 taurine festivals, an increase of 0.5% on 2013. 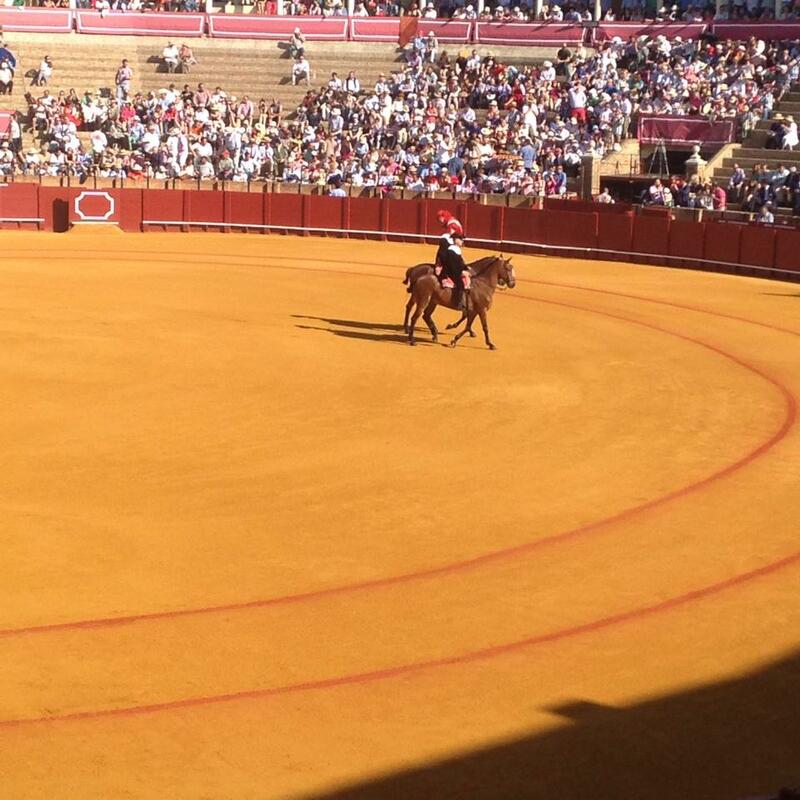 Yes, corridas de toros – full-scale, old school ‘bullfights’ – are down 7% to 398, but advanced novice corridas, novilladas con picadors, are up, as is horse-back bullfighting, rejoneo, and corridas mixtas which combine bullfighting on foot with rejoneo. It is also interesting that since San Sebastián, the Basque seaside town, was recovered by Basque Nationalist Party (PNV) from the radical leftists of Bildu, the ban on bull events has been lifted. A final little interesting factoid. There are 10,194 registered professional bullfighters of all varieties in Spain of whom 249 or 2.4% are women. 801 are fully-fledged matadors while 3,018 are novice matadors. 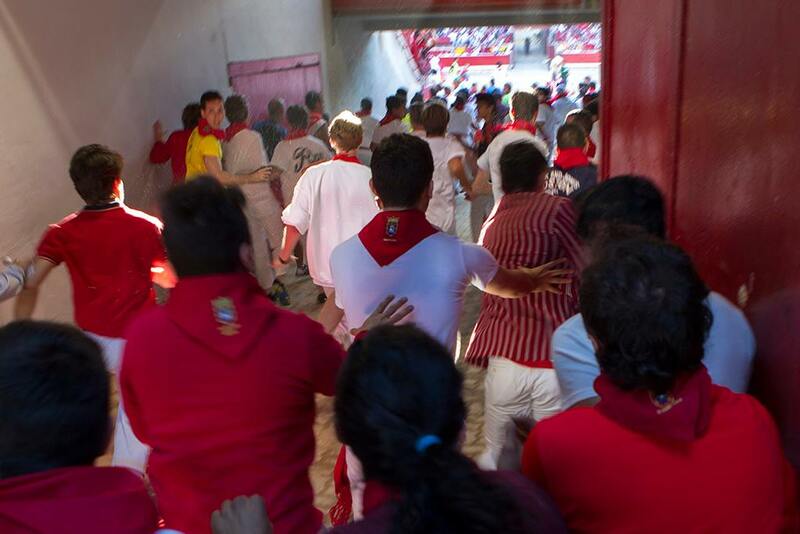 This year running with the bulls in Pamplona, I fell in probably the most dangerous place on the run, the narrow entry into the bull-ring, where if the bulls don’t get you, the people falling on top of you will – that is not hyperbole, in 1977 José Joaquín Esparza died from crush-injuries in a pile-up in exactly that place. Although I advise beginners against it, I could see the way was clear of cattle and got up and ran safely into the ring. Jim Hollander caught the moment I fell – and even though it is clear I was pushed, as a matter of decency we call it falling, people in panic cannot be blamed. 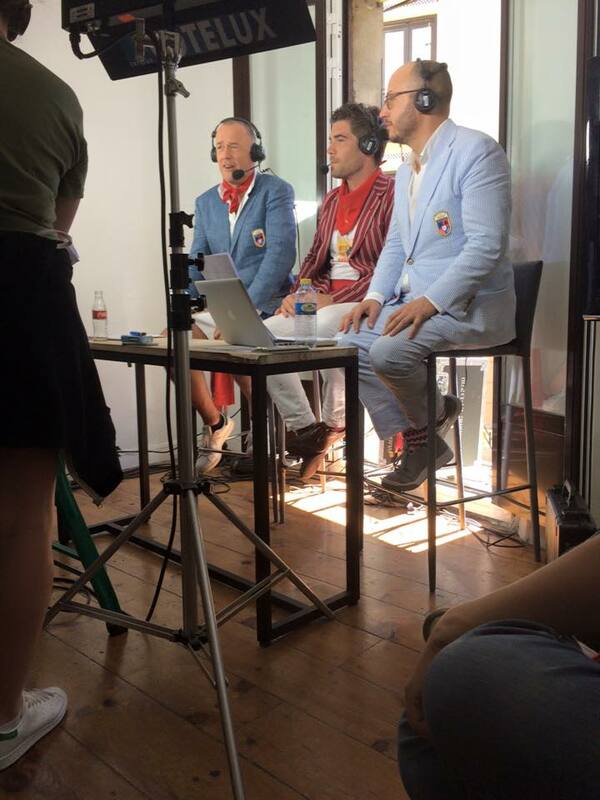 All throughout that day, including while providing humorous commentary for NBC’s Esquire Network, I had a phrase of Robert Browning going through my head. For three years now I have come to the heart of Old Castile for the Fair of Our Lady of the Rosary of Cuéllar, and each year before, like a polite but unfamiliar guest, I would write a thank you letter as is the custom of we English. 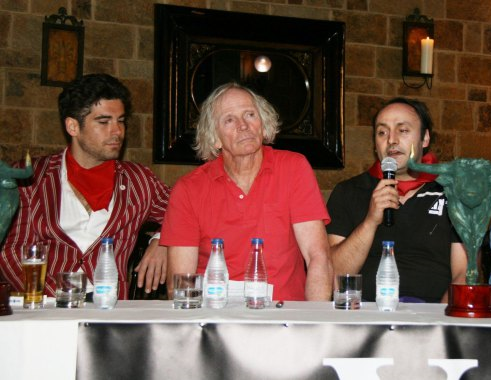 (2012, 2013) Now that I feel know Cuéllar a little better, even if not each of its inhabitants personally, and I can address you less formally, as real friends are allowed to do. And yet there are still so many thanks to be given, and not just from myself in England but also from my other friends whom came from around the ‘Anglo-Saxon’ world this year: from Australia and from Scotland, from Canada and from Wales, even from Australia (you have had celts from Ireland in your Irish pub since before I first came.) And of course, your great sculptor of, historian of and runner of encierros, Dyango Velasco. 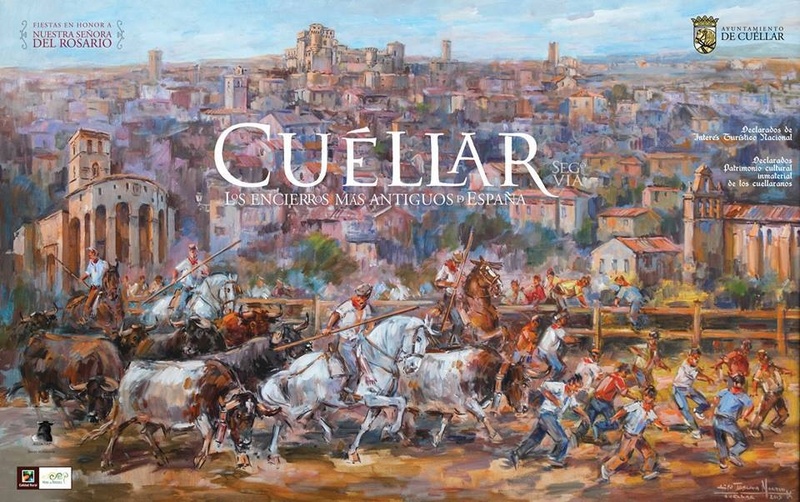 My friend Cristina Ybarra, wife of Enrique Moreno de la Cova who bred the Saltillo fighting cattle I so often faced in the ring, has had her painting selected as the cartel, official ‘poster’, for the pilgrimage of the Rocío which attracts about a million of the faithful to Andalusia each June. It is being exhibited for the first time at the ayuntiamento, ‘city hall’, of Seville, tomorrow morning at eleven-thirty a.m., and is open to all. For more details, on Cristina’s own blog, click here. 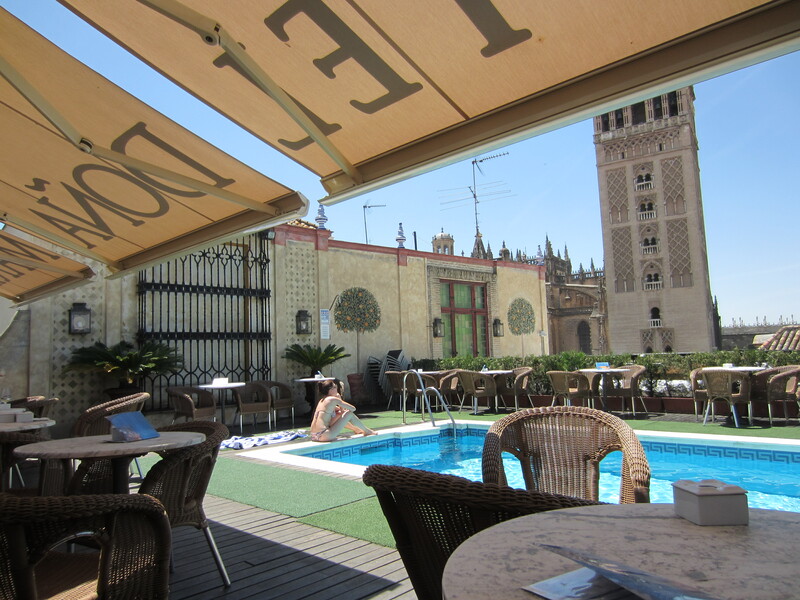 However, it was for the bulls that we came to Seville – more fool us – and about the bulls this blog nominally is. 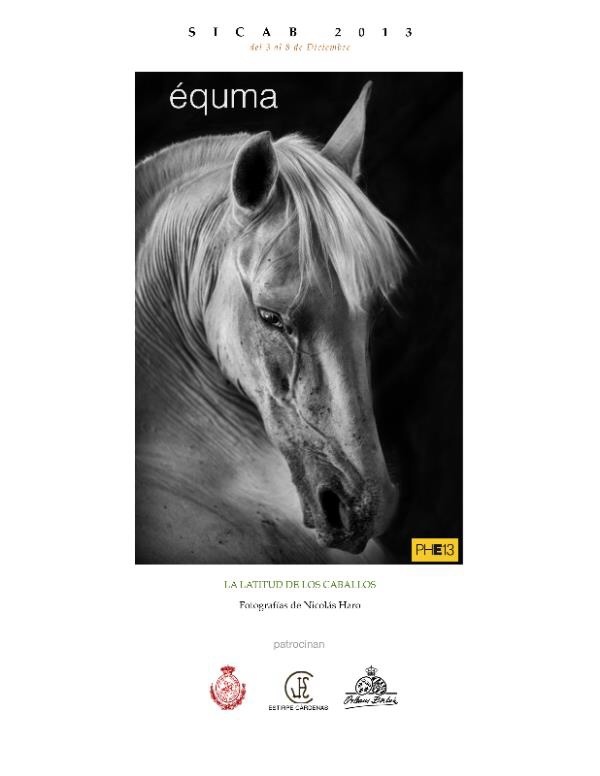 As they salt the roads for ice and the mercury falls below par, it is time for a last venture to Seville of 2013 for my friend and colleague Nicolás Haro’s exhibition of photography of the psychological and behavioural ties between humans and horses. 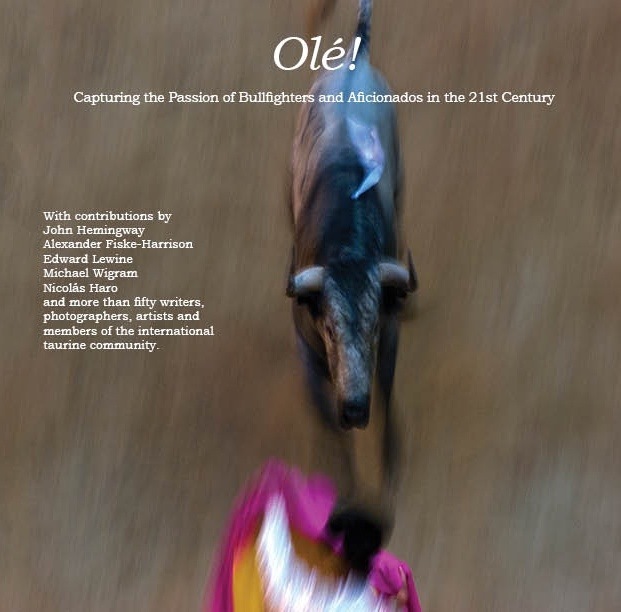 By virtue of my relationship with various bull breeders, I take the liberty of addressing myself to you, to inform you that, during the week of SICAB, Salon Internacional de Caballos de Pura Raza Española, which I understand that you or your associates will be attending, I will be inaugurating an exhibition centred on the figure of the horse, with all of its emotional vitality.This exhibition is produced with the support of the ganadería Estirpe Cárdenas, The Real Maestranza de Caballería de Sevilla, and Bodegas Infantes de Orleáns y Borbón. To this end I attach an invitation to the exhibition, which I trust will be of interest to you. I will be delighted to meet you personally at stand number 2164/2165, where the exhibition will be held. On Wednesday evening I am pleased to invite you to a cup of sherry from 7:30 on; the exhibition will be open throughout the week. Of all the major animals that man has taken into his home, the horse was the last. The first was the wolf, which not only gave us the dog, but changed us forever. How different the tribe which had to risk its braves facing the bison and mammoth with spears, to the one which could merely wound with a few well-placed arrows and then unleash the pack to bring the beast down many miles distant. However, after that ally, all the animals we brought into the house – cattle, sheep, goats, chickens – were much briefer and less honoured guests whose short lives ended in our stomachs. Not so, the horse. If anything, he lifted man out of such base and basic interests. A horse gave a man a metre more height, twenty kilometres per hour more speed, and 400 kilos more muscle. He made a man into more than he was before, which is why the first men on horses, probably nomadic Asian tribes, when seen by those who could not ride such as the first Minoan Greeks, gave rise to the myth of the ‘centaur’, half man, half horse. The centaur also represented the deep and ever-present connection which must be present between horse and rider. Cattle can be herded and need not have their bestial nature altered, only diminished: the minotaur merely blundered around the labyrinth of Crete, while the combination of man and wolf -the lycanthrope or werewolf – was more savage still. However, in classical tradition, Chiron, a centaur was tutor and mentor to Theseus, Achilles, Jason and Perseus. Away from myth, horses made men into more than they were because of their role in war, from which the original notions of nobility were derived. Caballero in Castilian, Chevalier in French, Cavalier in English, all mean both horseman and someone who is more than a common man. A knight was defined by his horse, both literally – he must possess one – and abstractly, the code he followed, that of chivalry, owes its etymology to the horse as well. Horses, literally and figuratively, raised man up. However, what of the animal itself? Although the horse assisted man’s warlike nature, man himself could not live in a state of war with an animal that had to bear him into battle. The oldest breed of horse, the four and a half millenia Arabian – whose blood flows so strongly in both the pure race of Spain and thoroughbred of England – had to live within the tent with his Bedouin masters, which, in an animal so large, required one of intelligence, sensitivity, physical control and grace and the ability to understand his master and, most of all, to make himself understood. Hundreds of kilos of undemonstrative terror or anger cannot long live happily in the house of human beings. The most communicative, intuitive and attuned to the human psyche would have been selected for, just as much as the courageous and the strong, the tireless and the obedient. It is this vital psychic kinship between man and animal that the photos of my friend and colleague Nicolás have so elegantly captured, a kinship which I myself was brought up to feel and have witnessed in Nicolás in his dealings with horses as well as the art he has made from them. His images contain so many of the emotions we share: pride, fear, playfulness, despair, resignation and power. They are a reminder although the centaur – like the unicorn and the pegasus – may not exist: we have much to learn from pondering the very real ethological and psychological origins of these ideas. 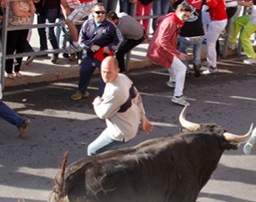 Among famous names such as Edward Lewine of the The New York Times, and John Hemingway, grandson of Ernest, there is an amazing chapter by the primus inter pares among runners of the bulls of Pamplona, the great Joe Distler, a veteran of over three hundred and sixty encierros, ‘bull-runs’, who “took me under his wing” (as I say in the book), and augmented and altered my afición, which was born in the flamenco and duende laden south of Spain. It was he who suggested I write my own chapter in the book, and alongside us our friends and running mates Larry Belcher, a Texan rodeo rider turned professor at the University of Valladolid, Jim Hollander and the greatest photographer of Pamplona and the war-zones and torn places of the Earth for EPA. 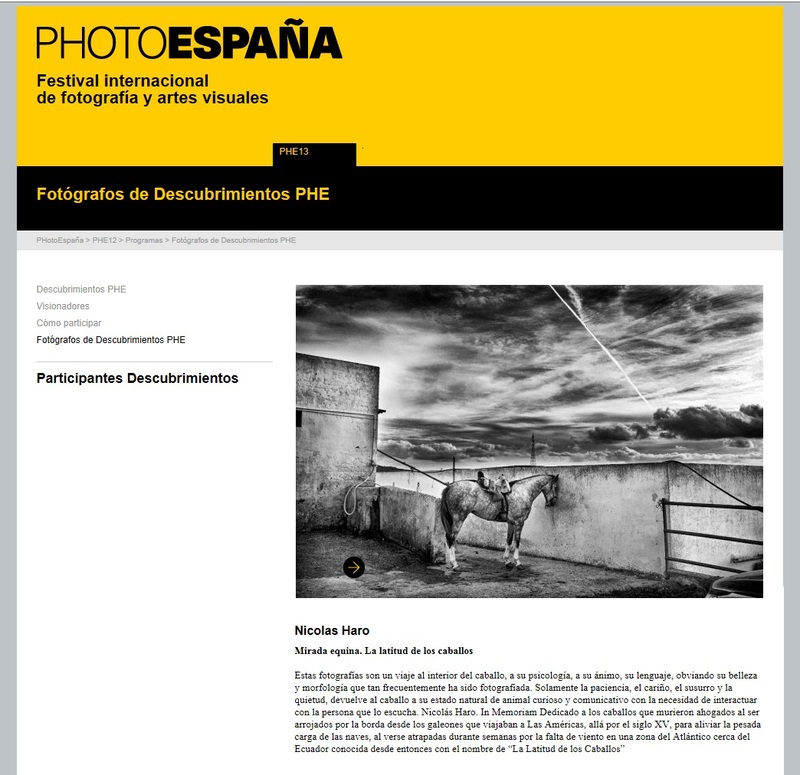 There are also wonderful photographs, alongside those by Jim (who is responsible for the stunning cover), from my dear friend from Seville, Nicolás Haro, shortlisted contestant for the internationally presitigious Photo España prize. I should add a mention of my review of the complete letters of Hemingway, from the period 1923-1925, when his interest in bullfighting and Spain first developed, for The Spectator, online here. However, it is not my own writing I should like to promote in this blog post, but that of the other writers in Olé!, some of whom I have not exactly seen eye-to-eye with over the years. I submitted this article for my column in Taki’s Magazine. However, I was told by the editor that she’d had quite enough about bulls. Which is ironic, given what it says. Anyway, here it is, for what it’s worth. I nearly died the other day. Not, like the time before when John Hemingway, Ernest’s grandson, pulled me out from a stampede in Pamplona or the time before that when Eduardo Dávila Miura pulled me out of a bull-ring in Palma del Río. This time was for real. I was running with the bulls of Cuéllar, which is a much like running with the bulls of Pamplona, only the town is smaller, the encierro – ‘bull-run’ – more ancient (the most ancient, in fact, as I wrote in the Financial Times) less crowded, and those that do turn up are mainly local, all Spanish, with not a drunk or first-timer among them. Despite this I still managed to bump into someone as I passed a lone, stationary bull in a narrow stretch of street. Being lighter than me, he was knocked to safety, but I dropped where I was and the commotion drew the bull’s eyes – black, bovine, lifeless and colour-blind, following only movement – and it charged across the street, skittering to a halt on its hooves as I similarly fought for grip in my new, untested running shoes. 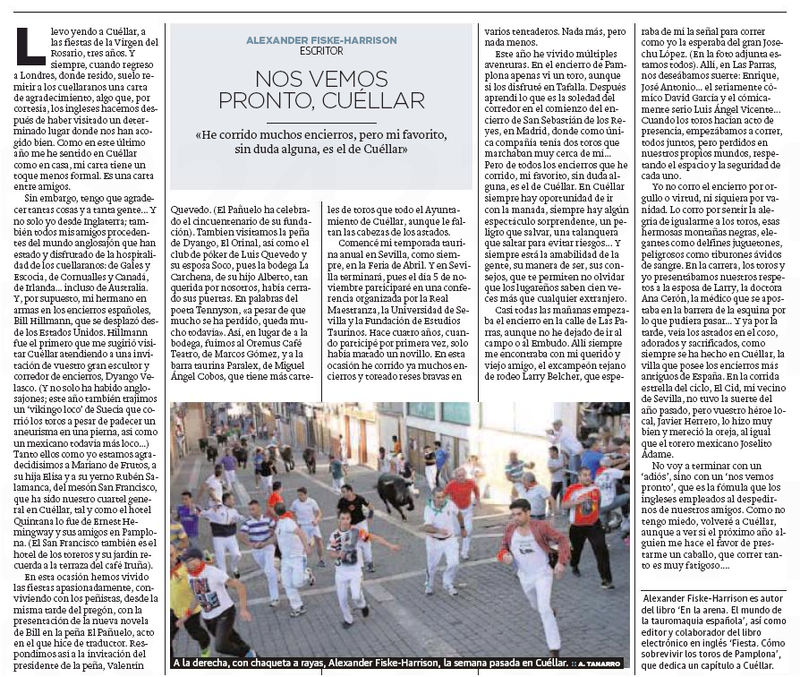 A fortnight ago I accepted, a prize from the most ancient encierros, ‘bull-runs’, in all of Spain, those of the town of Cuéllar in Old Castille. 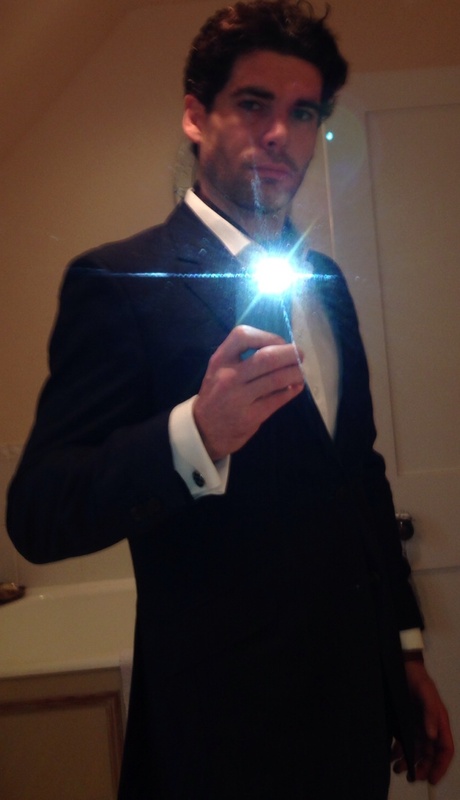 Earlier that same day I nearly died while running with those bulls. The bull in the photo-detail below was suelto – ‘loose’, alone – and had come to halt facing away from me. So I seized what I thought was a chance and tried to pass it in the narrow street. At the exact same moment another runner tried the same thing, coming from the opposite direction. When we collided, both of us with eyes only for the bull, he was bounced clear to safety while I lost my footing on the slippery street at the very instant the bull caught sight of our movement in its peripheral vision and charged across the street. It ground to a halt on its hooves as I struggled to get upright, my back against the fence that protects the spectators on the pavement. In this moment – which lasted as infinitely long as all the novelists, journalists and diarists of near-death say it does – I stood so still as to render myself invisible to the bull whose horn points were paused either side of my chest.